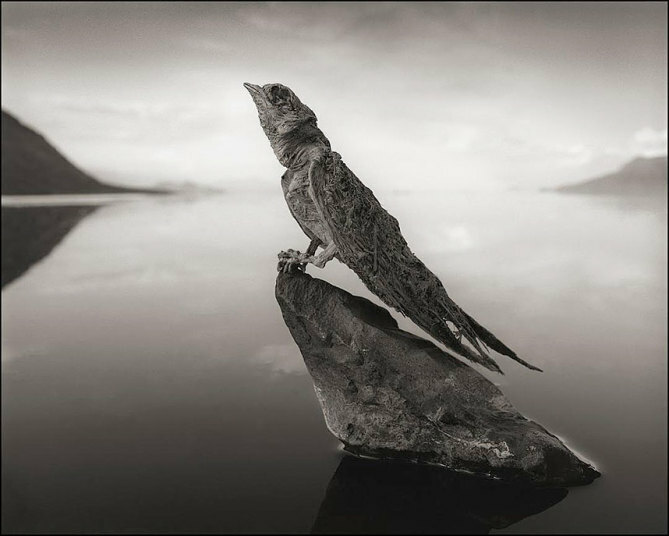 This is a series of photographs called, “Petrified”, taken by conservationist Nick Brandt. 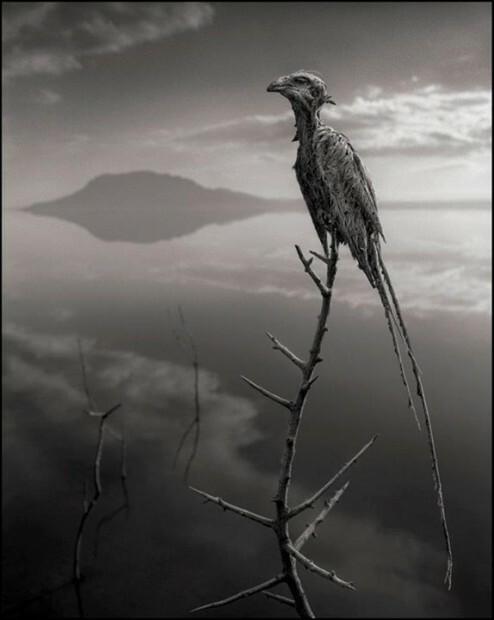 There is a body of water in Tanzania (Africa) by the name of Lake Natron. 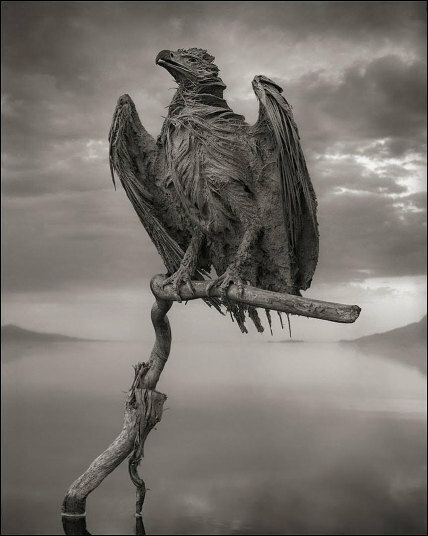 I have officially dubbed it, ‘The Lake of Petrification’. (*sounds best if you drop your voice 16 octaves lower). 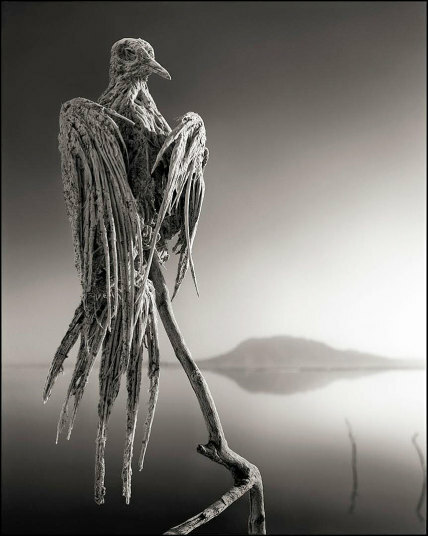 Aside from being a kickass black metal band name, The Lake of Petrification has an extremely high alkaline level (ph>12) due to the excessive levels of trona and natron (both mineral salts… so… Lake Natron is actually pretty fitting). 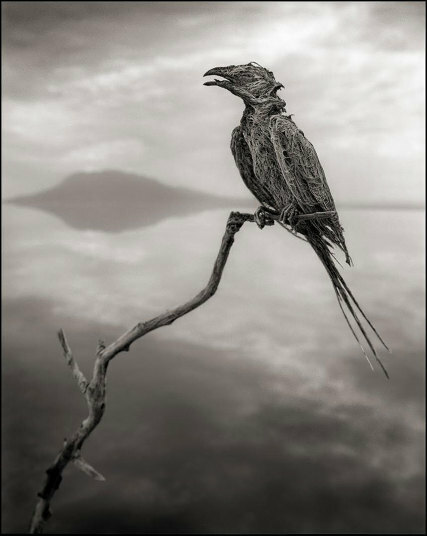 The lake does not drain into the sea, so the water just evaporates in cycles, increasing the PH level. 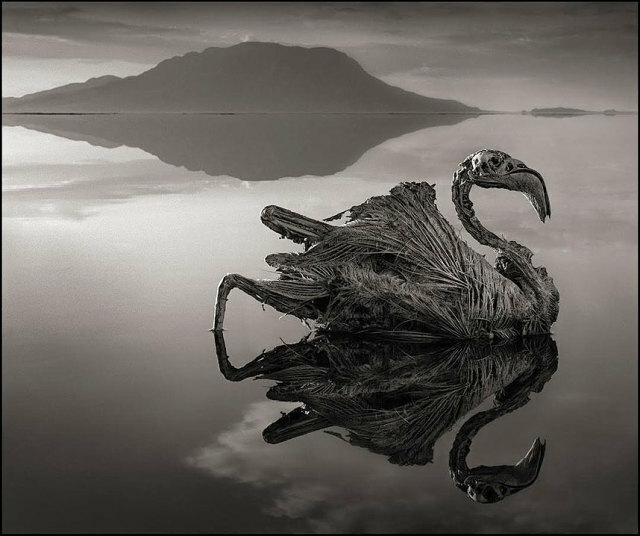 Water temperatures can reach 106 F.
The beautifully horrific side-effect of all this being… when animals die in the lake, them become calcified, hardened by the minerals in the water. 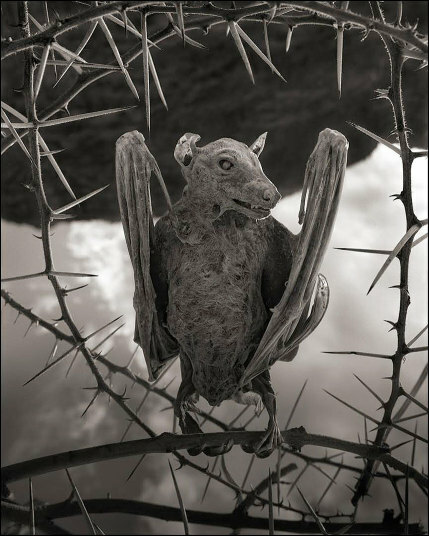 Full disclosure, photographer Nick positions the animal corpses for the pictures… they don’t kick off in those majestic poses. But that’s the difference between art and a dead bird in a puddle. I know where I’m planning my next family vacation.